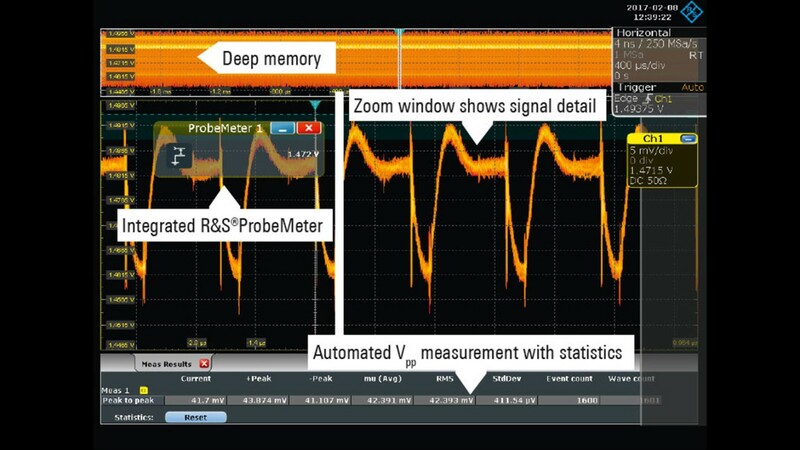 Measuring ripple, noise and transients on today’s low-voltage DC power rails challenges most oscilloscopes. 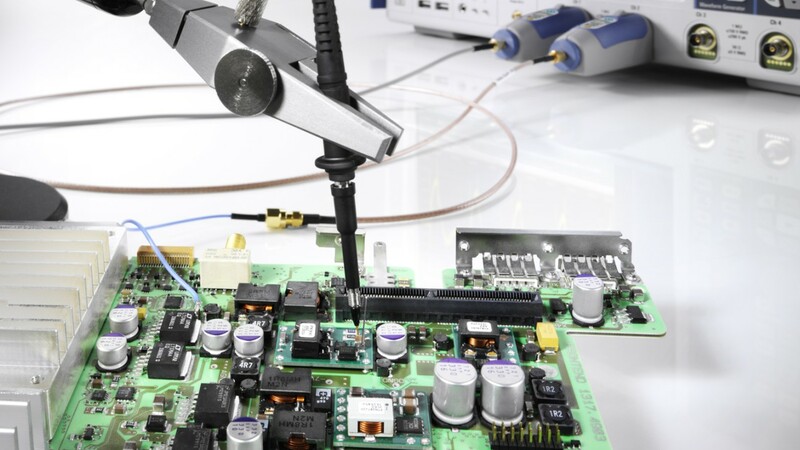 With smaller rail voltages and 1 % to 2 % tolerances, instrument and probing noise make it hard to accurately measure specified tolerances. Adequate bandwidth is required to see harmonics of fast edges and higher frequency sources that can be coupled on power rails. 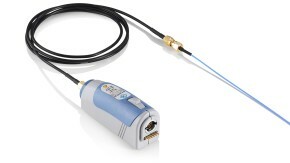 The active, low-noise R&S®RT-ZPR20 power rail probe connects at full bandwidth using a direct SMA or an SMA to coax pigtail connector soldered to a bypass capacitor or other available board connection. 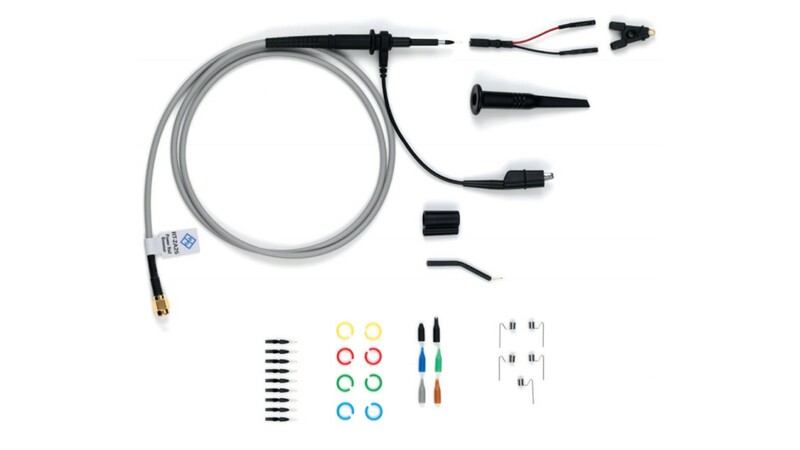 The R&S®RT-ZPR20 comes standard with solder-in cables for broadband probing and a 350 MHz browser kit to easily measure at different places on a PCB or to verify the DC power supply using the R&S®ProbeMeter. 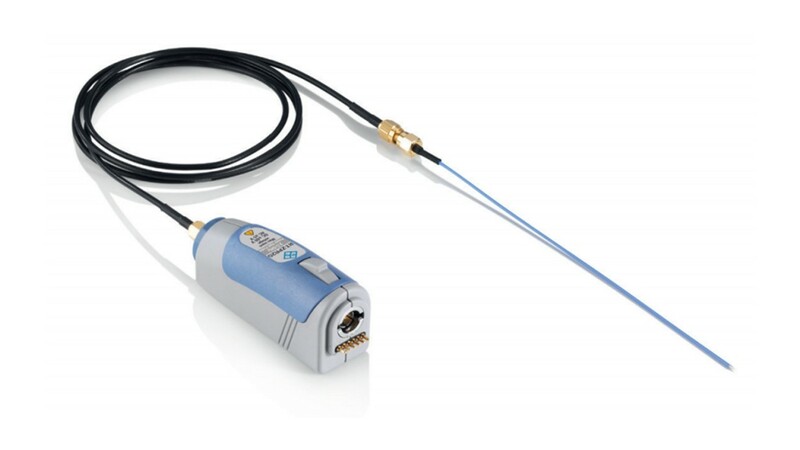 The R&S®RT-ZPR20 power rail probe is compatible with the R&S®RTO and the R&S®RTE digital oscilloscopes. The R&S®RTE (frequency range from 200 MHz to 2 GHz) is an economical deep memory solution with advanced functionality. The R&S®RTO (frequency range from 600 MHz to 6 GHz) offers a solution with more headroom. Both oscilloscopes achieve fast update rates of up to 1 million waveforms/s, providing greater power rail characterization confidence faster. 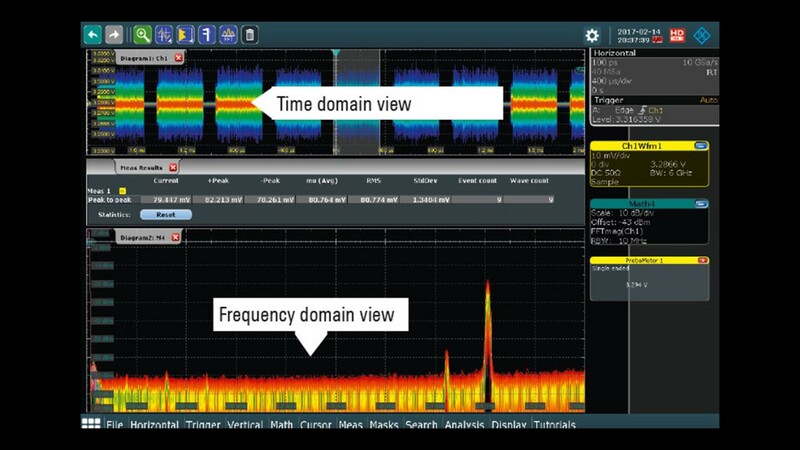 Frequency domain views of power rails to find coupled sources that are impossible to see in the time domain. Time domain views of power rails to measure ripple, noise and transient.